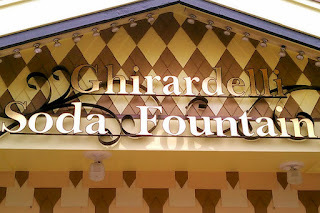 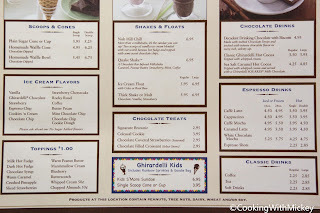 Ghirardelli is a chocolate lovers dream. 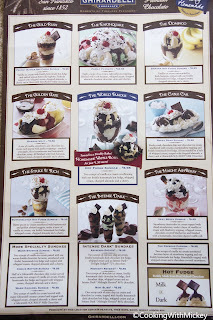 Enjoy shakes, malts, sundaes and more. 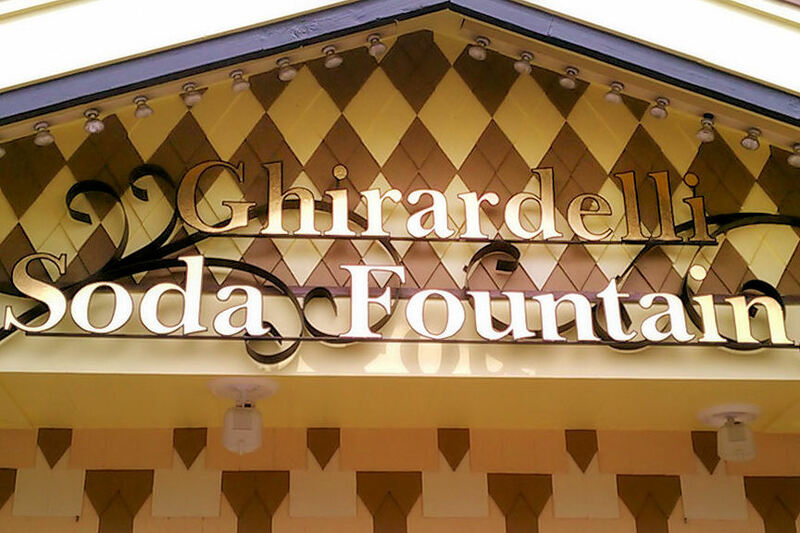 Take a seat inside the fountain shop or pull up a chair outside and enjoy one of their delicious desserts. 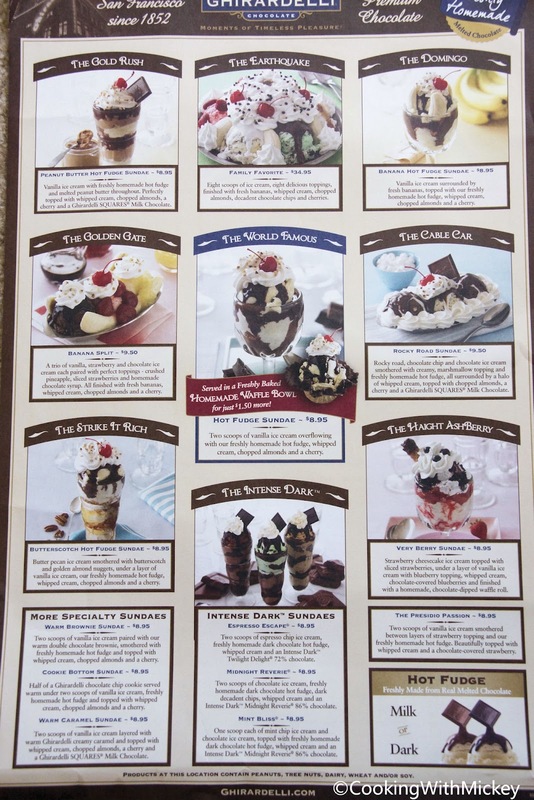 They are all so good it's hard to pick a favorite. 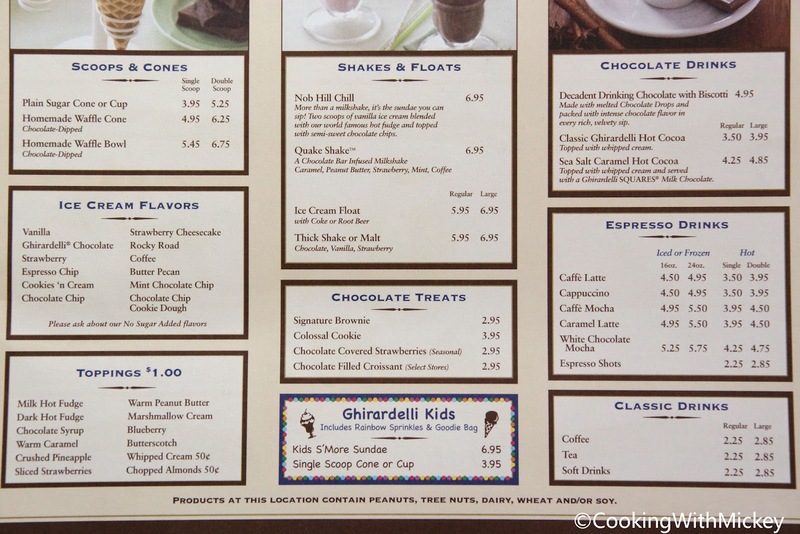 Menu Items: The Gold Rush, The Earthquake, The Domingo, The Golden Gate, The Cable Car, The Strike it Rich, The Haight AshBerry, The Intense Dark, The World Famous, sundaes, scoops and cones, shakes and floats, chocolate treats and drinks.